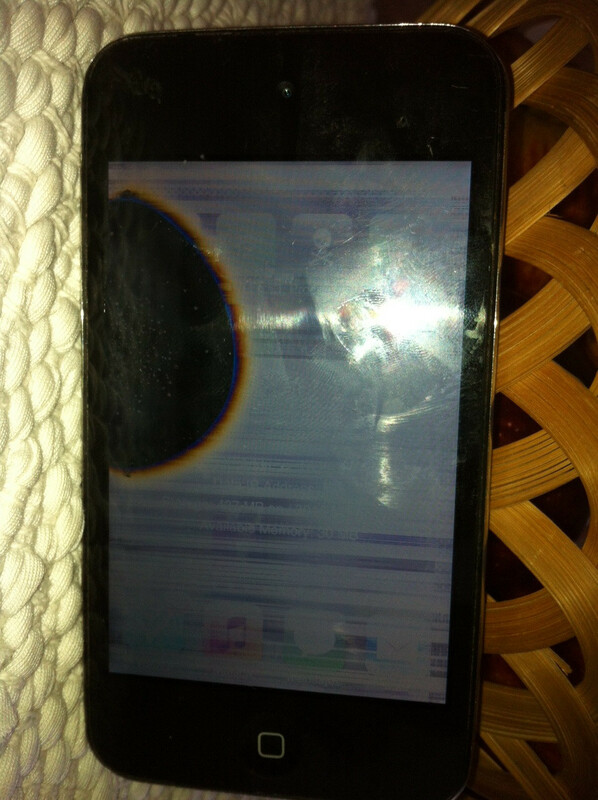 Today my son's ipod touch 4g/32gb appeared like the photo, no cracks, no visible water damage, and I can't find info online googling for black spot/ black blotch. Do you guys know what could be the cause and if it can be repaired? Thank you for the uploaded picture. That makes things easier on our end! Based on my experience with iPod Touch 4's, it seems that the LCD is gone. This can be repaired by replacing the LCD/Digitizer unit (they are glued together and therefore, need to replaced together). Use this guide. You can buy the needed part here. The only thing you have to do after you got the new part and before finally installing it: Transfer the metal holder (top) and the home button (buttom) of the old display assembly onto the new one. Also, by some new adhesive for the bezel and home button area and put it on the old plastic bezel and home button area. Thanks Steffen, I suspected that, you confirmed it, luckily the solution is not that expensive! I have the same problem but the blotch on my screen is way smaller and right underneath the battery status. What I would suggest is taking it to the apple store. If they confirm that the blotch wasn't created by being dropped they will replace it for free. I hope this helped! It looks like that the iPod touch was taken apart and someone messed with the screen. The LCD was damaged by tampering with the back part of the display where all of the layers are. I have done this to my iPod touch 4 also so i'm quite sure that is the reason the iPod is messed up. p.s. The layers are pieces of paper behind the display panel that absorb all of the light being emitted from the backlight also inside of the display panel, also the layers keep out any excess air and provide tinting so the LCD can be easily seen with the eye. PabloU 가/이 대단히 고마워 할 것입니다.